On March 26, 2015, we partnered with The National Foundation for Cancer Research, WETA-TV 26 and Kaiser Permenante to host a screening of Ken Burns Presents Cancer: The Emperor of All Maladies followed by an Expert Panel Discussion moderated by yours truly Robyn Stoller of CancerHawk. Soon we will have footage from the Panel Discussion for you to view. But in the meantime, I wanted to share with you some of the very important information we learned that night in this post- 8 Truths You Need To Know About Cancer. The statistics are staggering: 1 in 2 men and 1 in 3 women will be diagnosed with cancer in their lifetime. This means that cancer will very likely affect each and every one of us at some point in our lives — whether it is through our own personal diagnosis or through that of someone we love. In light of this, I’d like share eight things that we- as survivors and potential targets of this disease- need to know. #8. We’ve come a long way baby. The idea that cancer is a modern disease is a common misconception. The first known case of cancer actually dates back to 1600BC. Although cancer claims the lives of millions of people each year, researchers are making progress against this disease. We now have cures or effective treatments for some forms of cancer and people are living longer than ever before despite having a cancer diagnosis. #7. Prevention is critical. Let’s face it, if you don’t get cancer you don’t have to worry about treatment. According to the World Health Organization, one-third of cancers are preventable through lifestyle choices. We should eat lots of fruits and veggies, exercise often and maintain a healthy weight. We should protect ourselves from the sun, limit our intake of alcohol and red meat and never smoke. Although these measures can help keep some cancers at bay, it’s important to also remember that vegans who exercise often can get cancer. People who have never smoked a day in their life can get cancer- even lung cancer. Those who have undergone a mastectomy can still have a breast cancer recurrence in the tissue that lines the chest wall or in the skin. When it comes to cancer, there are no guarantees… but making lifestyle choices can significantly reduce the risks of certain cancers. By the way, there is now a vaccine that helps prevent HPV-related cancers (All three of my children have been vaccinated for this already) and there are lots more cancer-preventing vaccines in development. #6. Screening catches cancer at earlier stages when it’s most treatable. Screenings are simple to get done but lots of people don’t do them because they don’t like the procedures or they can’t seem to find the time. But screening absolutely, positively saves lives. Take colon cancer for instance — today, colonoscopies help catch the cancer before it starts, or help to catch the cancer early when the five-year survival rate can be as high as 90 percent. Other simple screenings include skin checks, self breast exams, mammograms, PAP Smears, and HPV DNA Tests to name a few. New and simple screening tests coming down the pike. Keep an eye out for a breath test that could be used to both diagnose stomach cancer and predict which individuals are at high risk for the disease. #5. Cancer is not just one disease. Cancer is not just one disease. It’s a family of 400+ different diseases – and is characterized by the uncontrolled growth and spread of abnormal cells. We also now know that just as no two people are exactly alike, no two cancers are exactly alike. This is why standard treatments don’t always work the same for everybody. #4. Precision medicine is transforming the way some cancers are treated TODAY. Precision medicine matches treatments to the genetic makeup of the patient and his or her tumor. There are several personalized medicines that are becoming standard in cancer treatment today. For instance, oncologists can now prescribe targeted therapies to lung cancer patients whose tumors have certain genetic mutations or to melanoma patients with the BRAF mutation. As a result, patients are experiencing better outcomes with fewer adverse effects compared to standard chemotherapy. The bottomline: Knowing your cancer’s genetic makeup can help your doctor find best treatment for you right now. To learn about personalizing your cancer treatments, visit MyCancer.com. For a list questions you can ask your Oncologist to begin the conversation on personalizing your cancer treatment:, read Questions to Ask Your Oncologist. #3. Immunotherapy is just beginning to change the way cancer is treated. Precision medicine is the driving force behind this movement. One study at Duke University is targeting cancer with a genetically engineered polio virus. Another aspect of immunotherapy called checkpoint inhibitors, uses drugs that pull off cancer’s invisibility cloak by blocking the switch that turns it on, also shows great promise. To learn more about how immunotherapy works and why it offers such tremendous hope, read and listen to this NPR article “Harnessing the Power of Immunotherapy“. In fact, immunotherapy offers such great promise that one day we may have a new kind of doctor called immuno-oncologists. #2. If your physician isn’t up-to-date on the most recent advances in cancer, find a new doctor. With each passing day, researchers learn more about cancer and how to better fight this disease. If your oncologist is not up-to-date on the latest and greatest advances in cancer care and or precision medicine, then make the switch to a new oncologist. #1. HOPE is the most powerful weapon we have against cancer today. Cancer is a thief- it tries to steal away our hope, our dreams and our lives- but we cannot let it. Today in 2015, we have a really good template to cure some cancers and prolong life in other cancers. We are gaining ground every day. 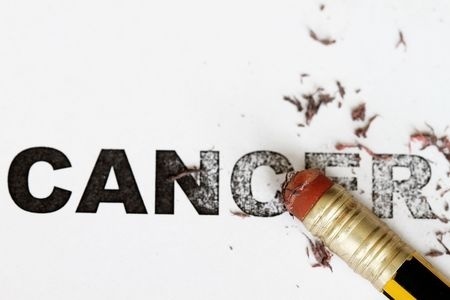 Although I do not think we will ever see a day where cancer ceases to exist, turning this disease into more of a manageable condition rather than a potential death sentence gives me tremendous hope. Please share this article with your friends and family because cancer touches us all. Where there is knowledge, there is hope!